Nikon's (2017) COOLSHOT 80 VR Reviewed: Is it going to be a Winner? While the press was all over the Coolshot 80 VR in late 2016, this rangefinder didn’t actually hit the market until 2017. 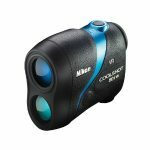 It’s a brand new device with the latest technologies that golf rangefinders (view full range here) can be equipped with. Trust Nikon to get up to date and in the game with their new and improved Coolshot Series! The 80 VR is actually priced far below its capabilities. One of its amazing features is the Optical VR Technology. What it does is stabilizes your image even if your shaky hands are all over the place. The body of the rangefinder will do what it does in the grip of an unsteady hand, but the VR has your steady interests at heart. HYPER READ Technology provides you with fast, precise, and instant readings. It doesn’t matter if you’re ranging on the green or past it. But, the reticle does matter depending on what your aiming at. If you’re ranging in distant target mode past the flag, the reticle will display without the center circle. If you’re ranging on the flag, the reticle will display with the center circle. With Locked On Mode, you’ll always know that you’re on target with every single lase. For clear viewing, no matter whether you have specs, wonky eyesight, or varying eye strengths, the diopter adjustment will fix all of that for you. Clear, bright, and spot-on images are exactly what you need to get your par! Can a Golf Rangefinder be too Compact? This very small and lightweight rangefinder is ideal for single-hand and palm-held use. However, it might be too small for those with large hands where fingers might get in the way of convenient use. What does VR Stand For? VR stands for Vibration Reduction. It’s Nikon’s optical technology that provides a stable image despite unsteady hands or far-ranging distances. How Accurate is the Nikon 80 VR Rangefinder? It’s extremely accurate, and part of its accuracy is due to its measuring system. Distance readings are displayed in .5 yard increments up to 1000 yards. For distances under 700 yards, it’s accurate to within .75 of a yard, and farther than 700 yards, it’s accurate to within 1.25 of yard. Is the 80 VR COOLSHOT really Waterproof? The unit itself is fog and waterproof, and it can survive in 3 feet of water for 10 minutes. However, the battery chamber is only water-resistant, so you don’t want to test it out by throwing it into a pond! How Long does the Scan Mode Function? It’s an 8-second continuous scan mode to acquire various distances to various targets in one pan movement. What are the Functioning Temperatures of the Rangefinder? The Nikon rangefinder can work in various weather extremes from 14 to 122 degrees Fahrenheit. Does this 80 VR calculate for Slope? Unfortunately, no. The COOLSHOT Pro Stablilized rangefinder does calculate for slope adjusted measurements – you can read our review of that one here. Does the COOLSHOT Rangefinder have an Auto-Shut Off Feature? This golf rangefinder automatically shuts down after 8 seconds of unoperated use. 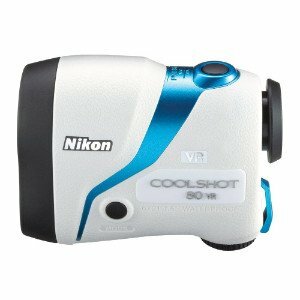 To ping up the strokes, the Nikon COOLSHOT 80 VR is an excellent rangefinder with tons of value. It’s designed to be spot-on accurate, provide instantaneous readings, and eliminate the shake of unsteady hands. You really can’t expect more than that on a golf rangefinder. However, if slope is a must-have feature for you, the Nikon COOLSHOT Pro Stabilized is the next step above. It’s practically identical to the 80 VR except with a Golf Mode for slope. Be warned, you will have to pay extra for the extra perk! 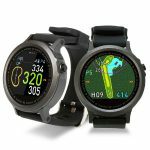 But, if you’re braving the brand seas, you might want to sail past the Bushnell Tour V4 that’s in the same price waves as the 80 VR. It’s not waterproof, but it does have Pin Seeker and JOLT technology with a 1000 yard ranging distance. It’s worth wave-finding with this rangefinder if you want to navigate your way to a hole in one! 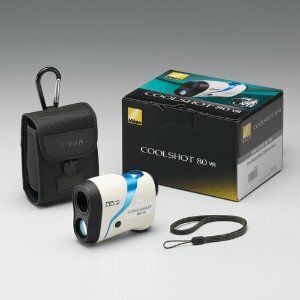 All in all, the Nikon Coolshot 80 VR is absolutely worth the buy. If it’s the distance you need, it’s the distance you’ll get with the 80 VR golf rangefinder. Get measuring today!